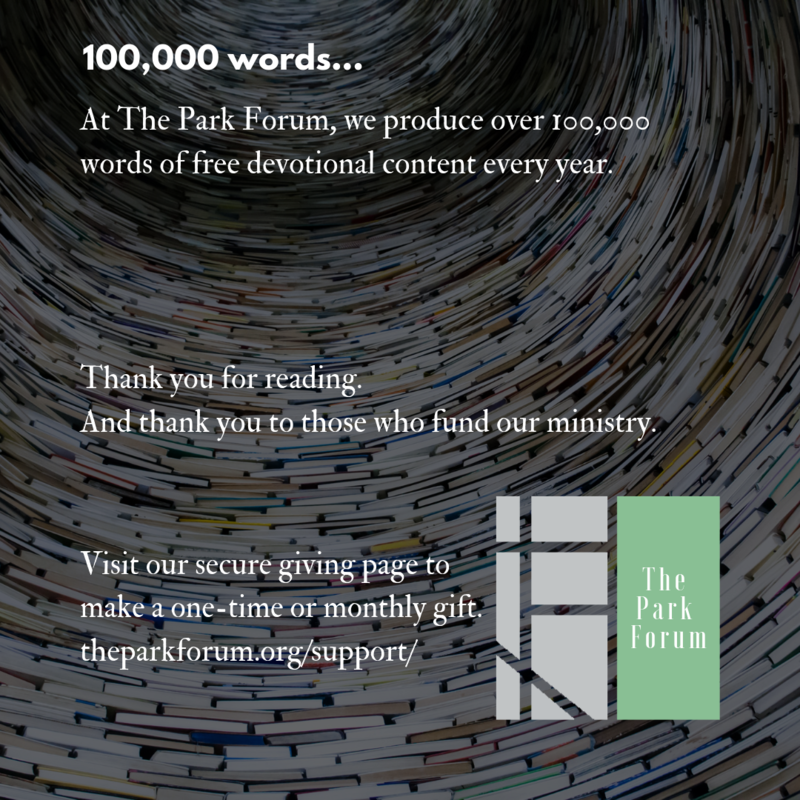 We keep our site ad-free and produce over 100,000 words per year of free devotional content that is read across the world by 4,000 daily readers. We are tremendously thankful to God for using our community to bring God’s Word to people in cities around the world! The Park Forum is exempt from Federal income tax under section 501(c)(3) of the Internal Revenue Code. Contributions to The Park Forum are deductible under section 170 of the Code and The Park Forum is qualified to receive tax deductible bequests, devises, transfers or gifts under section 2055, 2106 or 2522 of the Code. The Park Forum is incorporated under the laws of the State of New York. For more information, connect with us at info@theparkforum.org.